NEW ADD-ON BENEFIT – PRE-PAID LEGAL SERVICES PLAN WITH SPERP ENROLLMENT! As a retiree participating in the Suffolk County Municipal Employee Benefit Fund (“Fund”) you have the option of purchasing a comprehensive Pre-Paid Legal Services Plan when you enroll in one of the Fund’s “Self-Pay” Enhanced Retiree Plans-2018 (SPERP). This new legal plan is a powerful tool that can help you and your family better manage the legal challenges which confront all of us in today’s complex world – this new legal plan replaces the current legal voucher program, which is no longer available. The Premium Plan will remain the same and will include Dental, Optical and Hearing Aid Reimbursement. The Premium Plus Plan will continue to include Dental, Optical, Hearing Aid Reimbursement and Rx Reimbursement, but it will now also include the Tax Reimbursement Benefit. The Pre-Paid Legal Services Plan, can be an add-on to both SPERP plans for $108/yr. Discounts, for annually or semi-annually payments for the Legal Plan, is not permitted. Tax Preparation – $30 short form or $70 long form per member, per calendar year. 1) Plan coverage is for two (2) consecutive years. Benefit coverage is at the Active level according to Fund plan guidelines. Enrollment Form MUST be notarized. *If a member with dependents opts for SPERP with individual coverage only, neither their spouse nor dependents can remain on the member’s “No-Cost” Basic Retiree Plan. Dependents will lose all coverage while the member is on an individual “Self-Pay” Plan (even if both retirees are Fund members). 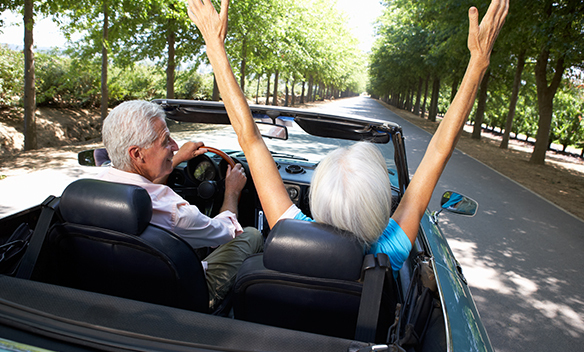 Each retired member must elect a SPERP coverage option which includes their eligible dependents. Dependent coverage, if dropped, can only be restored after the member satisfies two (2) consecutive years on a “Self-Pay” Enhanced Retiree Plan which includes dependent coverage, before their dependents can become eligible again for the “No-Cost” Basic Retiree Plan, unless the new dependent was due to a life event, (i.e., marriage, the birth or adoption of a child.) Dependents must be enrolled in the same plan as the member and cannot be enrolled in the “No-Cost” Basic Retiree Plan while the retiree opts for Individual coverage in SPERP. Domestic Partners may remain as an eligible dependent if approval was granted PRIOR to retirement and cannot be added after the member retires. Premium; Dental, Optical and Hearing Aid. Premium Plus-T; add Prescription Co-Payment Reimbursement and Tax Preparation. Retirees who opt for coverage in the Premium Plan, will be able to “move-up” to the Premium Plus Plan-T, during any future Open Enrollment, but they must remain there for two (2) consecutive years before they may “drop-down” to lesser coverage and only after submitting another new, notarized Enrollment Form. 4) Retirees are permitted to “drop-down” to the “No-Cost” Basic Retiree Plan after enrolling in and paying for one of the “Self-Pay” Enhanced Retiree Plans for two (2) consecutive years, and only after completing another new, notarized Enrollment Form. 5) All SPERP enrollees must remain in SPERP for a full 24 months of their 2-year commitment. 6) A Retiree may only “drop-down” to a reduced coverage plan after they remain in and pay for the selected “Self-Pay” Enhanced Retiree Plan for two (2) consecutive years and by satisfying and submitting another new, notarized Enrollment Form. NOTE: When a retiree “drops-down” to the “No-Cost” Basic Retiree Plan, they must remain in the “No-Cost” Basic Retiree Plan for at least two (2) consecutive years before being given the opportunity to re-enroll in one of the “Self-Pay” Enhanced Retiree Plans and only during the next Annual Open Enrollment period. 7) You may add-on the Pre-Paid Legal Services Plan to either one of the two (2) SPERP plans for $108 annually. No discount is offered for the Legal Services Plan on Annual or Semi-Annual payments. 9) Even if previously terminated from the “No-Cost” Basic Retiree Plan, or if members were enrolled or re-enrolled in the “No-Cost” Basic Retiree Plan for at least two (2) consecutive years, enrollment is available each year in one of the “Self-Pay” Enhanced Retiree Plans during the Annual Open Enrollment period. NOTE: Failure to maintain timely payments for the two (2) year enrollment requirement will result in an immediate termination of benefits including coverage in the Fund’s “No-Cost” Basic Retiree Plan. A two (2) year waiting period, after the last day of coverage previously selected, will be required before being permitted to re-enroll in another “Self-Pay” Enhanced Retiree Plan and only during the next available Open Enrollment period. Enrollment in the “No-Cost” Basic Retiree Plan is not permitted after failing to pay for any portion of the two (2) year enrollment commitment. If you are already enrolled in the “No-Cost” Basic Retiree Plan and do not wish to change, you do not have to complete any forms. If you previously lost your “No-Cost” Basic Plan coverage, you may not re-enroll for that plan during the Open Enrollment Period. You may, however, enroll in one of our Self-Pay Enhanced Retiree Plans. If you wish to enroll in one of the “Self-Pay” Enhanced Retiree Plans, follow steps 1 – 6 below. Complete the selected Plan Enrollment Form. Return the Notarized Enrollment Form with your payment to the Fund. Still have questions or would like to schedule an appointment, just contact the Fund’s Eligibility Department at: 631-319-4099 ext. 321. We are here to help! Important: If the Fund does not receive your “Self-Pay” Enhanced Retiree Plan payment to continue benefits, your coverage will cease. If coverage is terminated, you may not be entitled to resme participation in any future retiree plan offered by the Fund.